The more I read about the Chilcot inquiry the more disturbed I am. The fallacy imbued in the heart of British ‘democracy’ is staggering. While some commentators are concerned with questions to do with the legality of the war, the most crucial issue here is actually the disappearance of ethical judgment from our public and political life. Rather than being concerned with morality and ethics British politicians are concerned with legalism. In other words, if someone would manage to prove that the war was ‘legal’ then the murdering of a million and a half Iraqis would be well justified. Let’s all face it, our politicians are corrupted to the bone. In fact the Chilcot inquiry is in itself a pretty disturbing concept. As George Monbiot pointed out a few days ago in the Guardian CIF, in the world of British ‘official inquiries’, it is the government that appoints its members and sets its terms of reference. “It's the equivalent of a criminal suspect being allowed to choose what the charges should be, who should judge his case and who should sit on the jury”. As if this is not enough, none of the Inquiry members is an attorney. None of its member are qualified in the art of questioning. Consequently, the inquiry doesn’t have any legal ability, capacity or teeth. It is a farce. It is there to release some public steam. It is there to convey a false image of openness. I believe that the most pathetic statement was pronounced last week by Tony Blair, “People didn’t think that al-Qaeda and Iran would play the role that they did”, announced the unchallenged genocidal man in front of inquiry. Basically we are now blaming the so-called ‘enemy’ for not performing according to ‘our plans’. I guess that even an illiterate burglar would refrain from using such an argument in the court. Blair obviously got away with it. But there is one positive side to it all, as sad as this Chilcot Inquiry seems to be, its team members are also revelatory. The panel is there to suggest who the government is inclined to appoint when it needs a whitewash. On 22 November 2009, as the Chilcot inquiry was preparing to convene, former British ambassador, Sir Oliver Miles, expressed concerns over the fact that two out of the five members of the inquiry’s committee (40%), Martin Gilbert and Lawrence Freedman, were “strong supporters of Tony Blair and/or the Iraq war”. He also mentioned that both Gilbert and Freedman were Jewish, and that Gilbert is a devout Zionist”. Richard Ingrams wondered a week later in The Independent whether the Zionist links to the Iraq invasion would be brushed aside. At the time Britain was taken to the Iraq war, the chief fund-raiser of its leading party was the devout Zionist Lord Levy who managed to collate a list of wealthy Zionists around him. The Inquiry should investigate closely the case of the Zionist Parliamentary lobby group namely the Labour Friends of Israel. In the days leading up to the war, it was mentioned in the Guardian that the forged information about Iraqi WMD originated in an Israeli intelligence agency. It was later revealed that any references to Israel in Britain’s Iraq Weapons Dossier were hushed up. It is crucial that the Inquiry establishes whether this was indeed the case. If it was, it supports the contention that Britain was led into a war by serving a foreign country with foreign interests. But as it seems, the unique amalgam of the inquiry panel, the lack of an attorney and the presence of two pro Blair, pro war enthusiasts, one of them a Zionist by admission, is there to stop the Inquiry from hitting the truth. On 28 January 2010, BBC Radio 4’s “Today” program reported that Sir Martin Gilbert, had expressed “deep unease” at articles by Sir Oliver Miles and Richard Ingrams. Sir Gilbert gave an interview to the ‘Israeli Nationalist Radio’ a radio station run by Jewish settlers operating from an illegal settlement in the occupied territories. In the interview with the settlers, Sir Gilbert offered false information about some obvious historical facts. He said for instance that ‘as far as he could see’, in 2003 Israel “regarded Iran (rather than Iraq) as its biggest threat”. Every person who comments on the Iraq war is fully aware that Iran has become a leading regional super-power due to the military collapse of Iraq. It was the defeat of the Iraqi army and regime (2003) that promoted Iran to the premier enemy of the Jewish state. Two possible interpretations may be available to explain Sir Gilbert’s comment. He is either intellectually lame or disingenuous. Alternatively one may argue that Sir Gilbert is far from being stupid or insincere, he is just another Zionist spin master. As we all know the Labour party operates as a magnet for characters with spin-doctor qualities. Whether Gilbert is a spin doctor, a hypocrite, or a dimwit is not for me to decide. One thing is clear beyond doubt, the man must be removed from the Chilcot Inquiry immediately. We cannot allow a person who may be a charlatan or a spin doctor who certainly communicates with settler radio stations, to judge on our behalf what the true events were that led to the Iraq war, which he himself supported. Furthermore, we should also make sure that Sir Gilbert is removed from the national curriculum. I myself won’t allow my children to study WWII or Churchill from a textbook written by a Zionist war enthusiast who may also be either disingenuous or dull. If I ever see my kids looking into Gilbert’s texts, I will insist that they read it in a critical manner, so they know what the difference is between what Zionists want to tell us about our past, and what the past is. But Sir Gilbert is just one symptom of a far deeper and concerning phenomenon. In recent years, Israel and its lobbies have managed to gain extensive control over British political life. Just a few months back UK Channel 4's Dispatches revealed that a “Pro-Israel lobby group is bankrolling the Tories. 50% of MPs in the shadow cabinet are Conservative Friends of Israel members”. One may wonder whether we still need an election in this country. At the end of the day, the vast majority of British political elite is practically bought by the Israeli lobby. As we all know, for Zionist power to prevail a Sabbath Goy* is needed. A Goy that would support the Neocon wars, a Goy that would Vote “very strongly for the Iraq war”, a goy that would vote “very strongly against an investigation into the Iraq war”, a Goy that would fight anti Semitism, a Goy that would be corrupted enough to spin for the Zionist cause. Naturally such a person would be a shady character. He would also fail to resign once exposed. In the following video you can watch Labour Friend of Israel MP Denis Macshane rushing to save Sir Gilbert. As expected, Macshane repeats Gilbert’s embarrassing trick; he either pretends to be stupid or spins the Zionist mantra. “Religion” he quotes Thomas Jefferson, “should play no part in appointment to pubic office”. 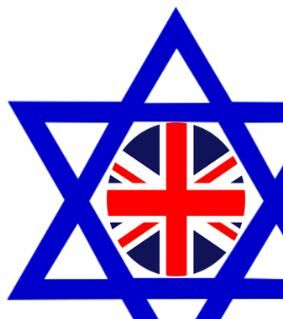 Macshane who wrote a book about anti-Semitism, must know that it is not Gilbert’s faith or even ethnicity that concerns a growing number of Brits. It is the Jewish national ideology i.e. Zionism, that alarms Sir Oliver Miles and the rest of us. It is this ideology that Sir Gilbert, a Zionist by admission, succumbs to and that should be enough to stop him from partaking in a British official inquiry into a Zionist war. In legal terms this is commonly referred to as a conflict of interests. The clumsiness of Gordon Brown’s cabinet appointing such a farce of an official inquiry is mind blowing. It may also reveal the fact that the British political system is failing all the way through. It wasn’t just Blair and his acolytes. It continued with Brown and won’t stop with the coming Tory Government that as mentioned above, is largely bought by the same lobby. Thinking about Karl Popper’s The Open Society And Its Enemies we are probably entitled to conclude that we are very far from being an ‘open society’. However at least we know who our enemies are. We may admit that for a few decades Israel and its supporters enjoyed a carte blanche in academia and politics, probably a lot to do with Western guilt. However, as Israeli crimes are exposed and Neocon intervention is realized, the patience towards Israel, its Zionist lobbies and its Sabbath Goys is running out. Britain, you better wake up before it is too late.